So what’s involved in becoming an Outdoor Leader? Well there is no shortage of courses and certifications out there. And as a professional you never stop re-certifying and gaining additional education. But not all courses are helpful, not all courses are needed, but some are critical. The Canadian Tourism College’s Adventure Tourism program provides the knowledge and courses required to start a career in the outdoors. Upon graduation you’ll enter the Industry with Advanced Wilderness First Aid, Avalanche Skills Training, Intro to White Water Rafting and Ocean Kayaking. Absolutely! Anyone can begin the process by collecting various certifications required to become a guide; kayaking, hiking, or rafting. Or pass exams needed to become an avalanche educator, ski instructor, rock-climbing guide or mountain bike coach. But becoming a professional, and more importantly one that will succeed in the competitive world of the Outdoor Industry, requires more then the hard-skills and certifications. What the Adventure Tourism program offers students is all of the “soft-skills” required to find employment and progress through the ranks. So whether your working for various companies or running your own business, a successful outdoor guide needs to always be the first to get the call. During the program students will learn and apply various tools that will help to keep them busy and employed, including self-marketing and branding, communications (both before and after a trip), the fundamentals of starting a tourism business and the black art of entertaining rain soaked guests under a tarp. 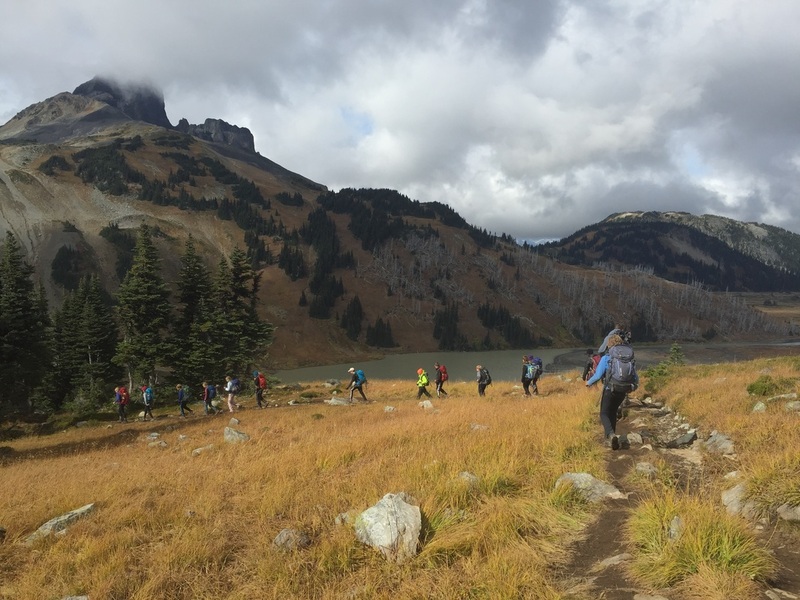 In addition, students will learn skills not offered in individual certifications, including: map & compass navigation, weather, tarps & knots, survival skills, emergency evacuation, wilderness communication, gear and technical clothing maintenance. ​The program starts with a couple of days in the classroom, discussing principles of the industry, getting to know each other and going over required gear. After that, students will find themselves in the mountains and on the water anywhere from 3 to 5 days a week. Be prepared for long days, and an extremely dynamic schedule; just like working in the industry, each day can be very different from the last. Like any outdoor adventure, fun is always had. 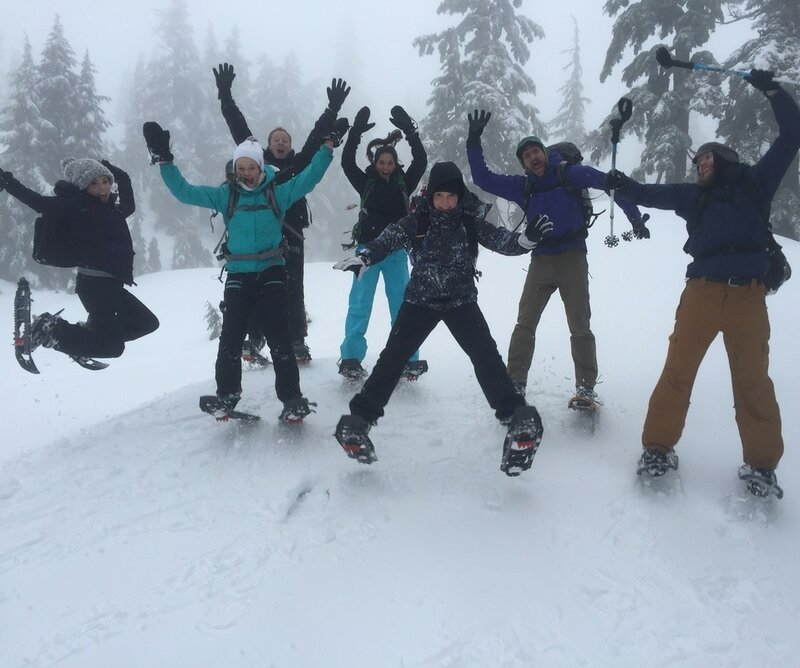 With the Adventure Tourism program students graduate not only ready to spring board into a career, but they have the support of fellow students who often share bonds that last a lifetime. Instructors are all working in the Industry and offer first hand advice and mentorship so that each student can succeed, no matter how they define success. Fall is one the greatest times to hike and I often find myself saving my favourite trips for the September and October months. Whether it’s going the distance on a crisp day or worshiping the sun in the alpine on one of those bonus “summer-like” days, autumn is a great time to explore. Many alpine hikes in BC have a short window of being snow free and depending on the winter previous may be snow free for only a few months. Fall guarantees access, and the only snow comes from the sky. 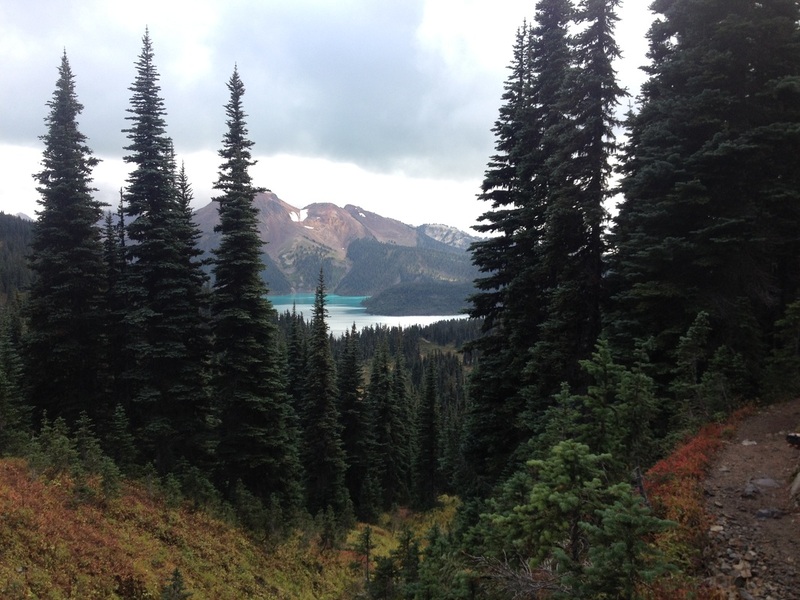 One of my favourite areas to hike is in Garibaldi Provincial Park. 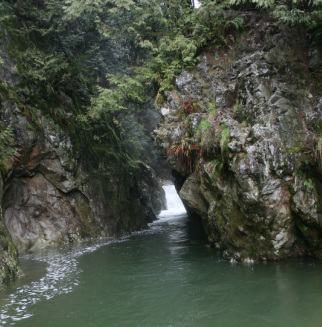 Prime for day hikes and overnights, the park offers a number of access points with an impressive area of 1,950-km2. This fall my wife and I headed up for a couple of nights with some friends. 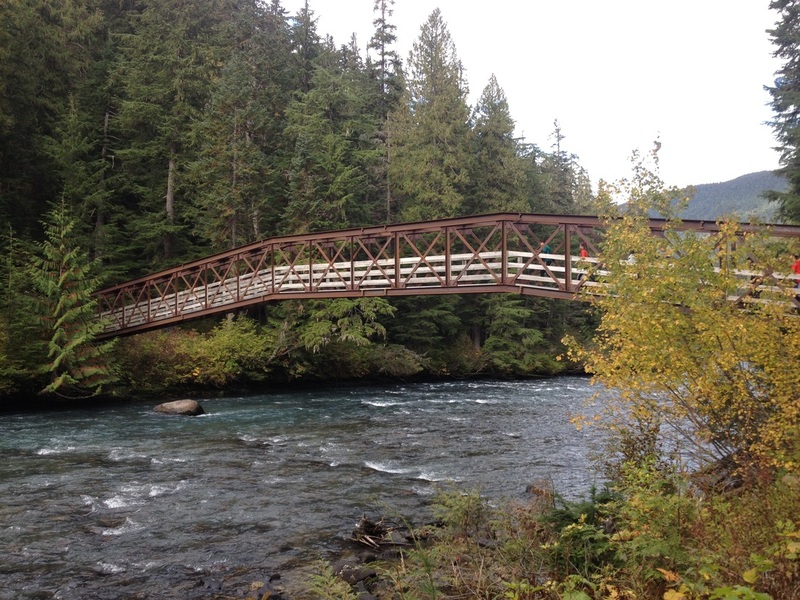 We started at the Rubble Creek Trailhead, just 29-km outside of the Whistler Village. 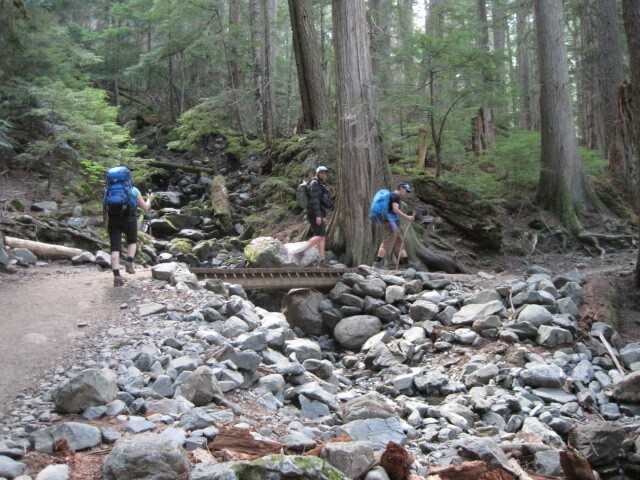 BC Parks has invested a lot of money into rebuilding the trail and it makes for a great ascent with an overnight pack. 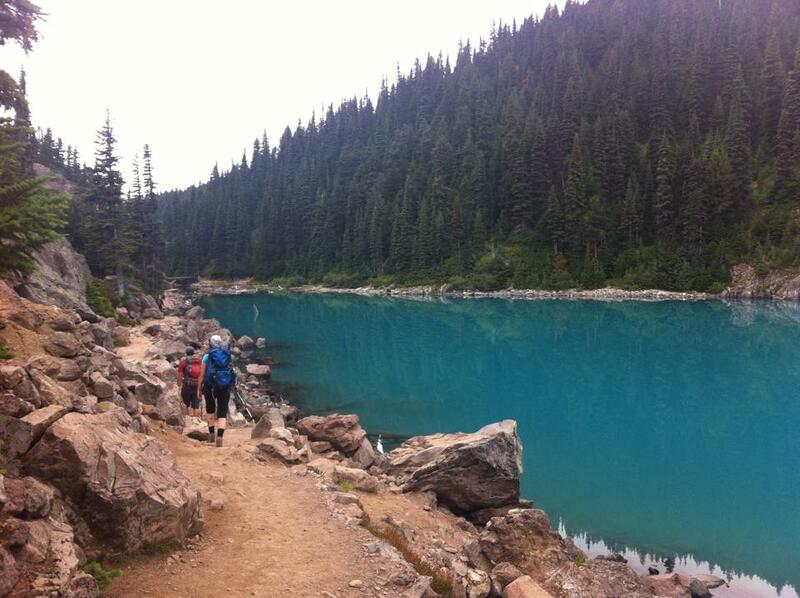 The hike up to Garibaldi Lake is 9km and takes about 3 to 4 hours. We set off shortly before 10am and started the hardest part of a backpacking trip: the beginning. It’s the heaviest our packs will be and it always seems like a long way to the reward. But after a few switchbacks, our bags began to feel lighter and we settled into a conversation that matched the rhythm of our steps. The first reward of getting outside is the ability to catch up with friends. Once at the lake we peeled off our boots and settled in for the day. 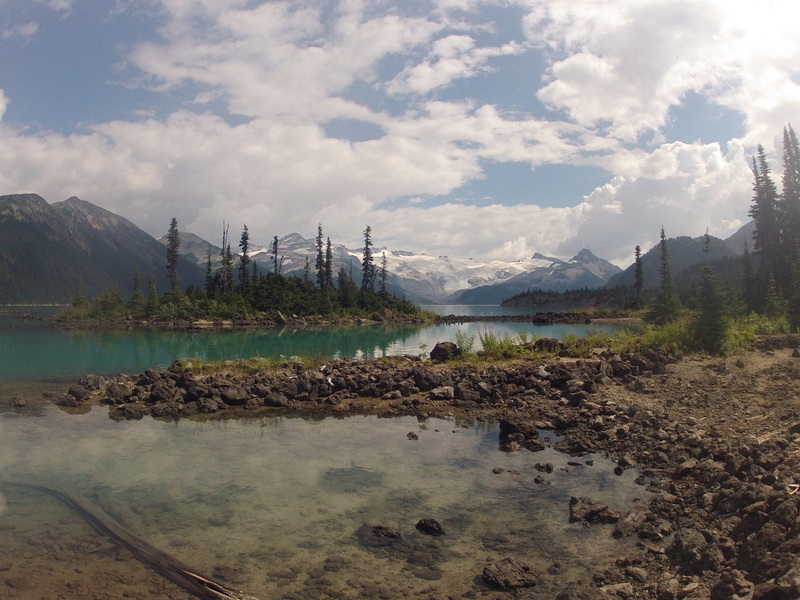 We recharged with a snack on the dock and an extremely quick dip in Garibaldi Lake to cool off. Despite it being fall, the sun was still warm. It was nice to get another swim in before winter officially arrived. On a sunny day this dock is the perfect spot. 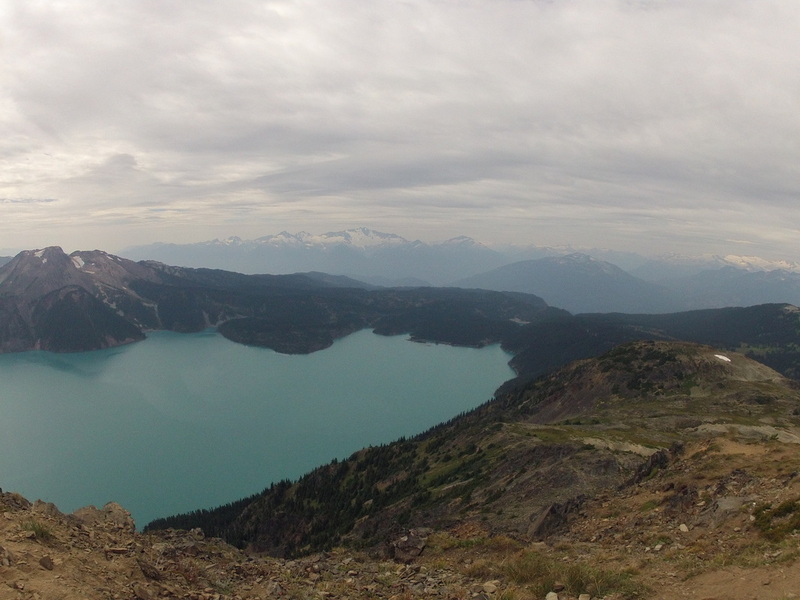 Garibaldi Lake boasts one of the most breathtaking views in the Vancouver area. I’m always amazed that within a 1-hour drive from the downtown core and a 3-hour hike in from the parking lot, one can finds themselves here. With an early start, you can make a simple day trip out of it and get back to the parking lot with daylight to spare. The hike is, in my opinion, a must do, and was the first stop on our 3-day adventure. With the sun gone it was amazing how cold things got and it was a good reminder of why you always want to be prepared in the backcountry. After a well-deserved dinner of pasta and a couple cups of tea, we headed into our tents for bed. The next morning we got an early start and made our way towards Taylor Meadows and our big goal for the day: Panorama Ridge. As you start to make your way to Panorama Ridge you begin to see glimpses of the lake, and you start to realize it’s even bigger than you first expected. At the junction to Panorama Ridge we stashed some of our heavy items and took a detour to the top. 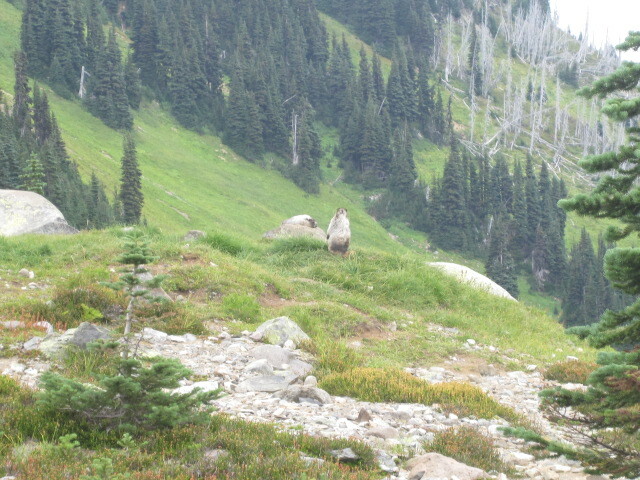 Panorama Ridge, as the name suggests, offers a full 360° line of sight. 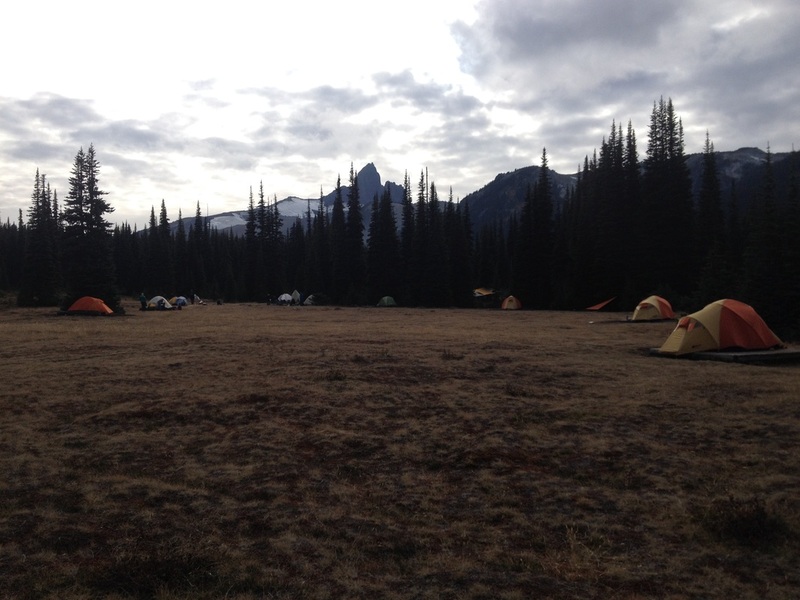 With a view of the Campground, Black Tusk, and the entire Garibaldi Lake, you begin to understand just how big this place really is. As we made our way down from the peak, the sun started to come out and Black Tusk began to peek out of the clouds. We grabbed the gear we stashed at the junction and started our way through the Cinder Flats and towards the Helm Creek Campground. It was a long day of hiking. We quickly grabbed some tent spots and had dinner. Helm Meadows is an underrated spot, in my opinion. 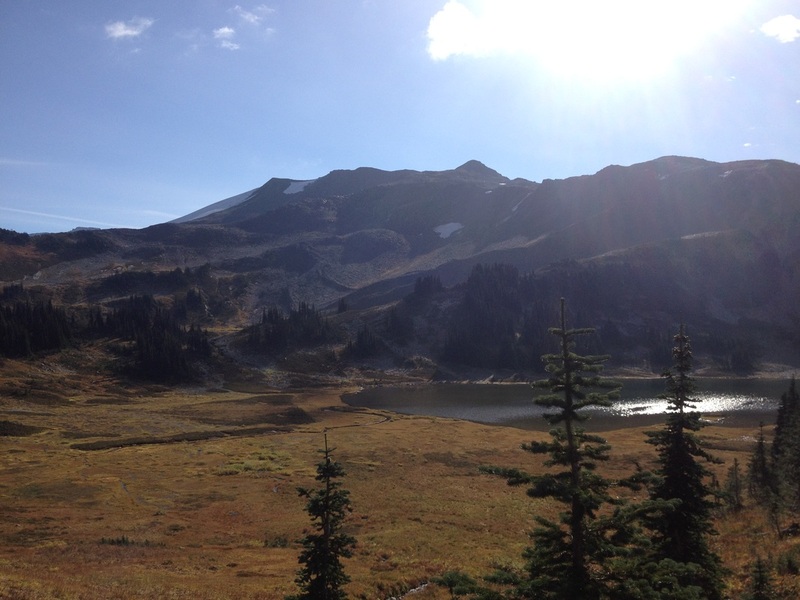 It might not be as breathtaking as the Garibaldi Lake Campground, but it provides a great view of the Tusk. It’s also less crowded, more secluded, and I often find there are only a couple of groups camping each night. 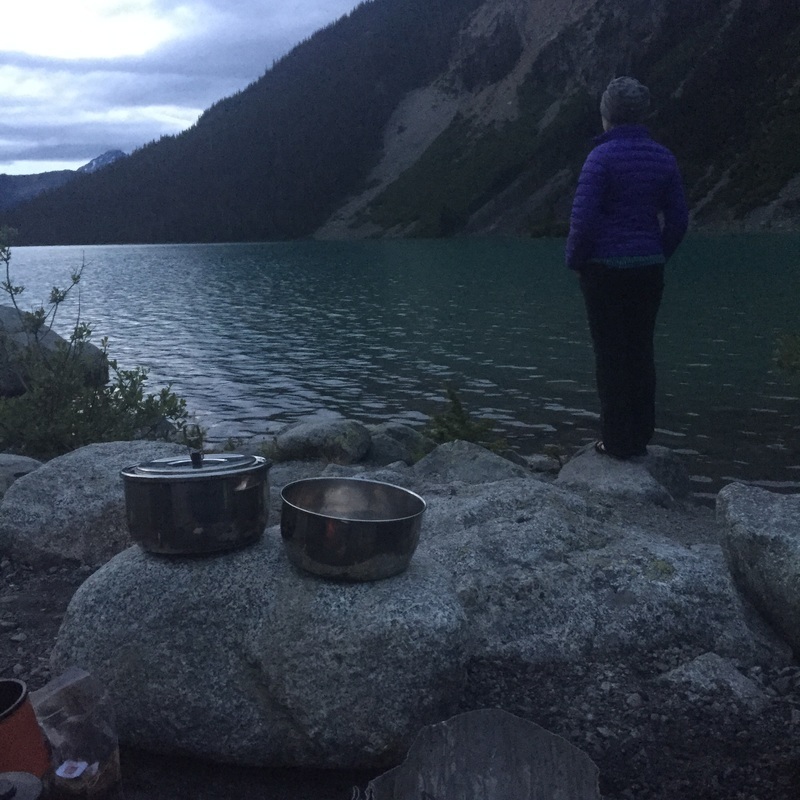 After dinner we reflected on the day and gazed at the stars, with nothing but Whistler a few kilometres away the stars made for great entertainment until bedtime. 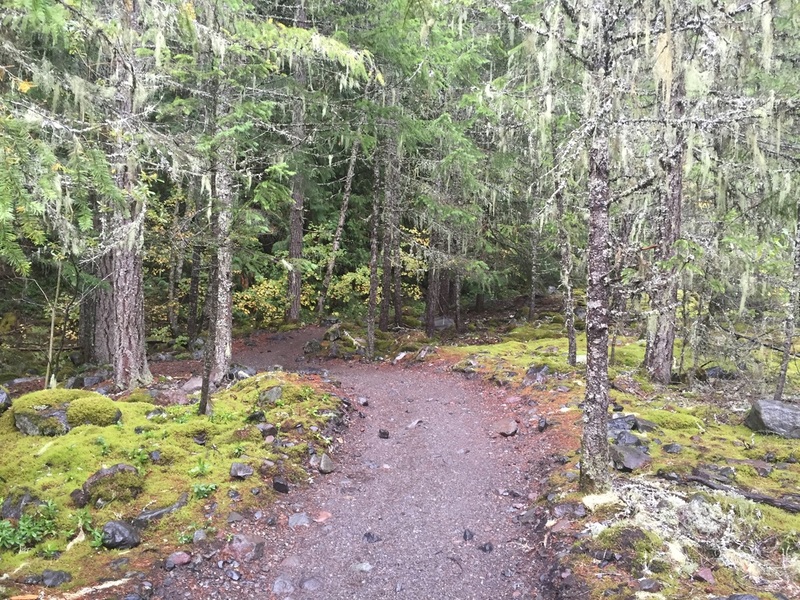 The trail down from the Helm Creek Campground isn't as manicured as the trails accessing Garibaldi Lake but the change is nice and offers a welcomed variety. The next morning we packed up and made our way down the final section of our journey. The hike from the Helm Creek Campground to the Cheakamus Lake Parking Lot is mostly downhill. It was a short day compared to the previous but it was a nice change of scenery. Dropping down into the Cheakamus River along side Helm Creek the trail is less traveled and more “raw” than the other trails we had hiked. The technical nature kept us occupied from daydreaming about fresh vegetables and cold craft beer at the end of our journey, at least that’s what I was thinking about. 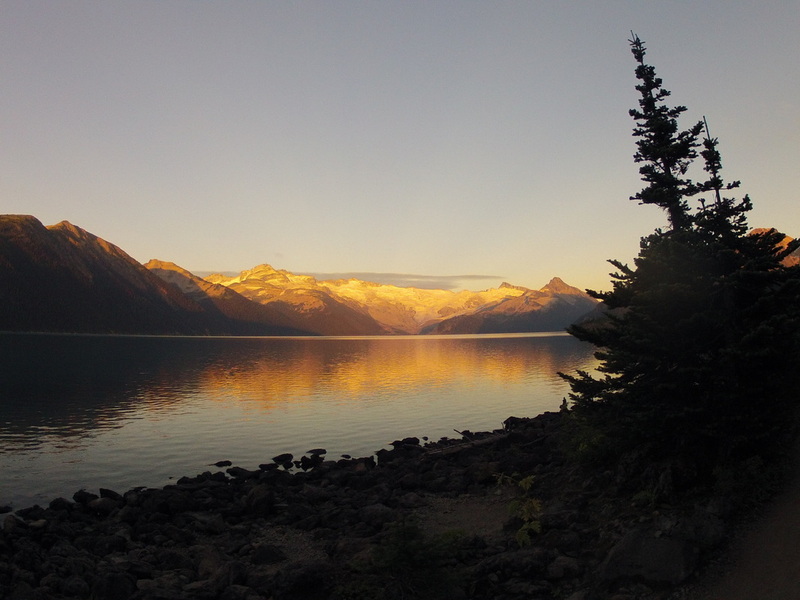 If you’re heading out to Garibaldi, here’s a few tips: Make sure you pack out what you pack in and stay on the trail at all times, especially in the Alpine. If you’re staying overnight be sure to purchase a permit from BC Parks, either at the Parking Lot with cash or cheque, or online with a credit card. It costs $10 per night per person. While using the campgrounds, please leave them better than you found them and use the bear cache. Store food and toiletries properly; remember you’re in Black Bear country. November brings an extra hour of sleep, but we lose an hour of daylight. It also means hikers find themselves getting stranded in the dark. The week after we change our clocks in the fall is one of the busiest for BC’s Search and Rescue. Many groups find themselves being paged multiple nights as the sun is setting. So please be prepared! Bring a headlamp and give yourself ample time to make it back to the car. It’s better to be sitting in a Café or at your favourite local brewery an hour earlier than expected than calling for help an hour later. 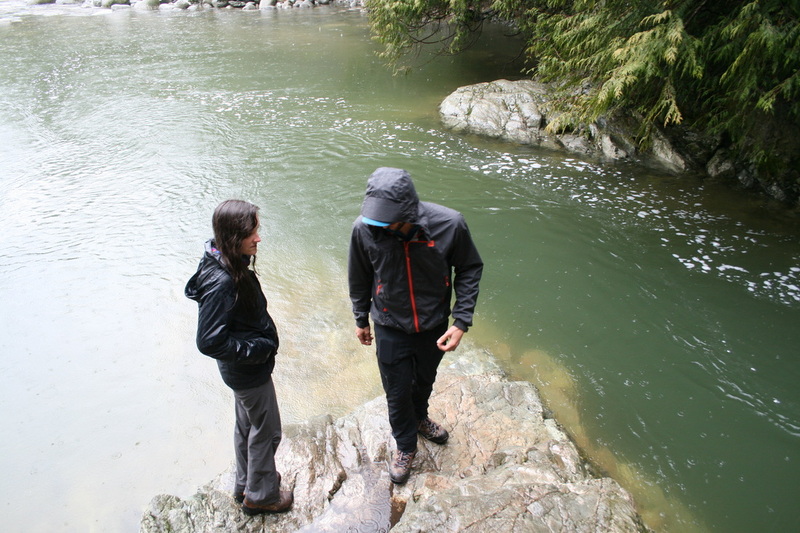 This British Columbia hiking round-up was brought to you by our friends at Keen. 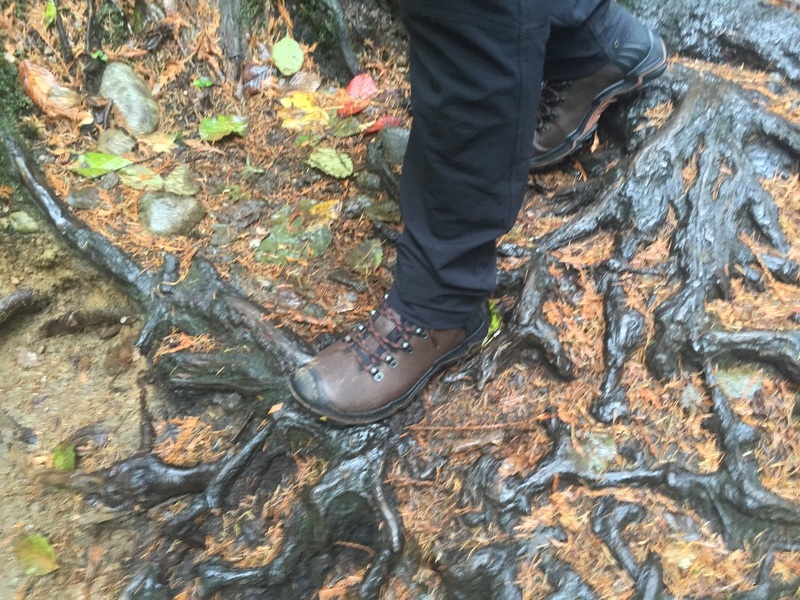 We're sporting their Liberty Ridge Boots as we scramble up ridges and into the alpine. Which summits will your Keens take you to? 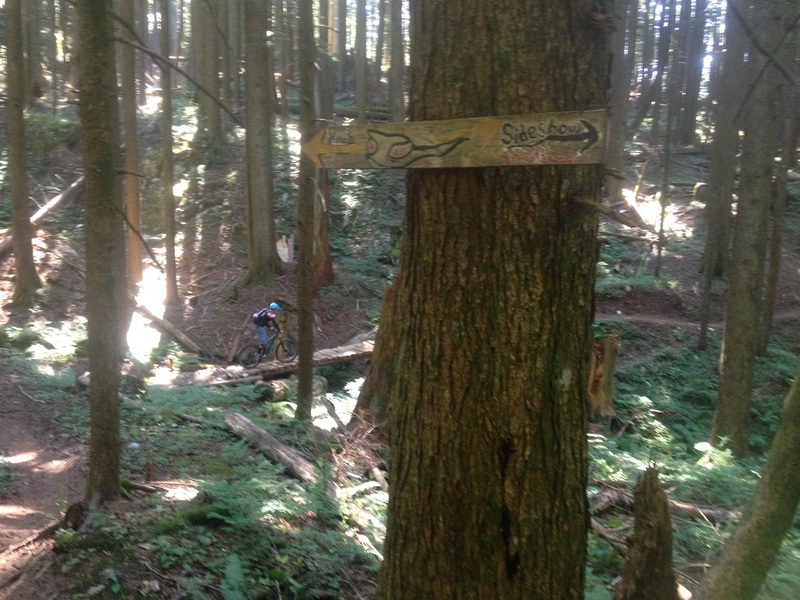 I've always been a fan of the mountain biking in the Fraser Valley. When Eli, Ryan Jordan and I decided to head out there for a day-trip I knew the perfect way to showcase the area. So we loaded up and headed to Abbotsford for a double down in the hills. After a busy spring on the North Shore, it was time for a change. The coast will always be my favourite place to ride, but one of it's appeals is that a short drive East will get you to an entirely different environment. 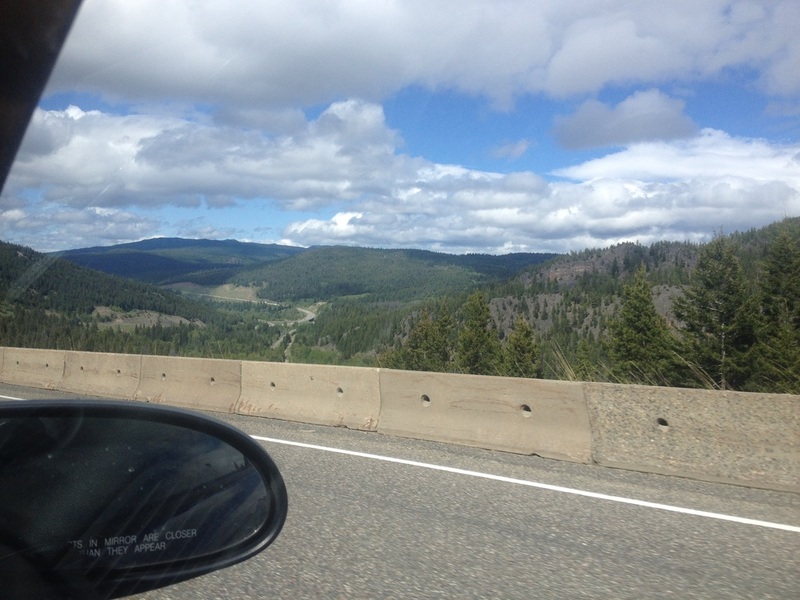 And so it was off to the desert for a weekend in Kamloops, BC. A long time "bucket-list" goal of mine has always been to bike and ski Mount Seymour on the same day without any outside help. I pitched the idea to Eli Relke while we were ski touring this past winter and we earmarked the trip for Spring. 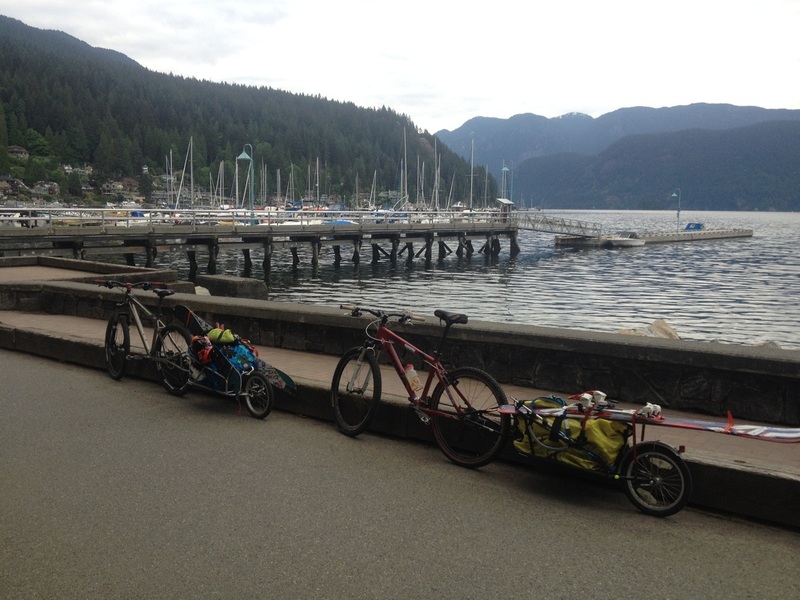 Thanks to the MEC Rental program, we got our hands on bike trailers, loaded them up with gear and set off. The last day of my week long adventure with my brother was spent exploring the beautiful city of Vancouver. 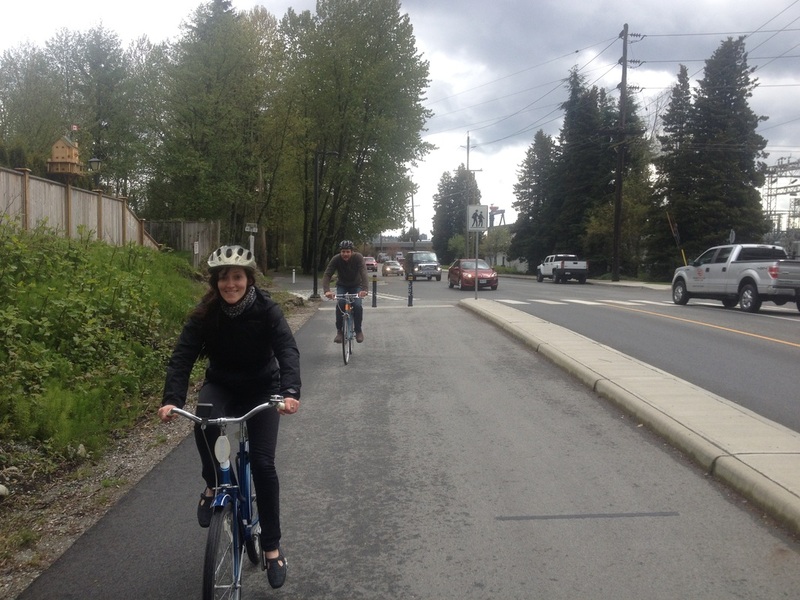 Chad, Katie and myself jumped on some single-speed bikes and headed to the other side of the Burrard Inlet. 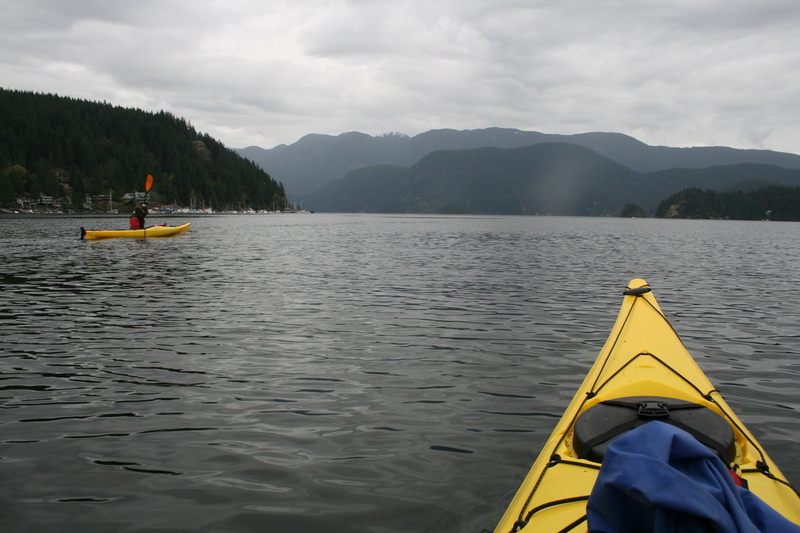 The next trip of the week with my brother, Chad, saw us Sea Kayaking with some rentals from Deep Cove Kayak. 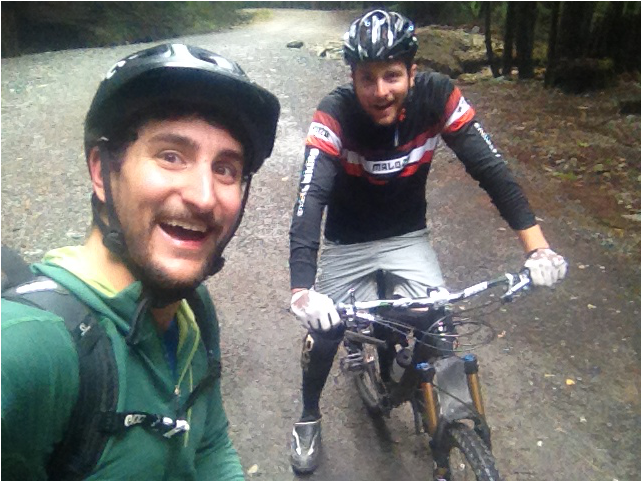 After a successful weekend in Whistler with my brother Chad, we woke up Easter Sunday to a wet North Shore day. 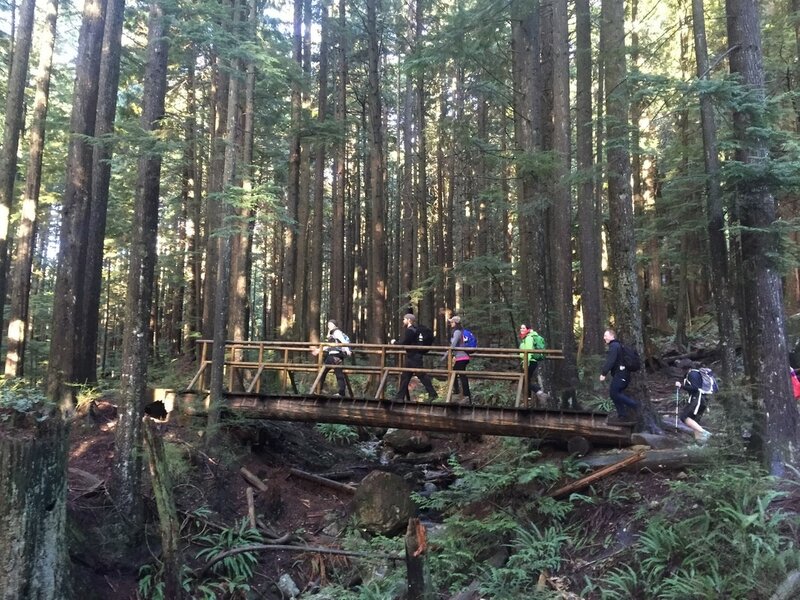 The girlfriends went for a jaunt through Lynn Canyon Park and we suited up for a classic North Shore Mountain Bike ride. 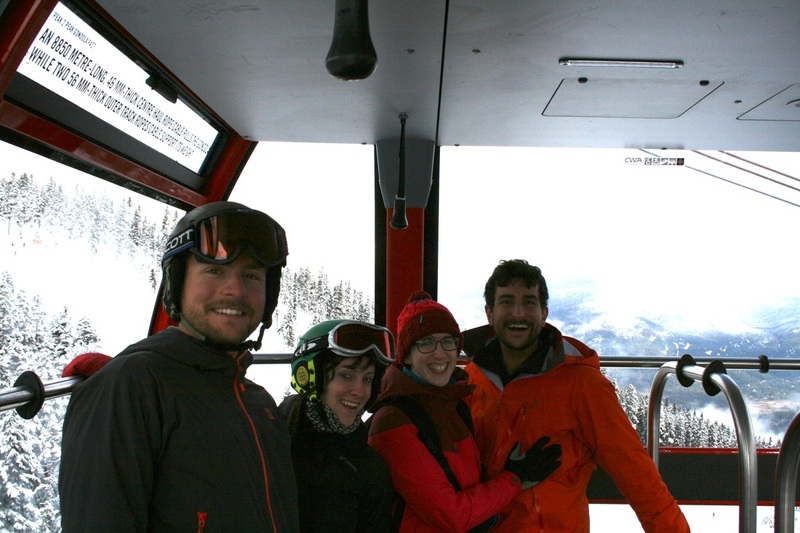 Part 2 of my week long adventure with my brother, Chad, saw us heading to Whistler for some spring skiing. We made the necessary stop at Galileo Coffee and while leaving a "ski bum miracle" rolled into the parking lot. What should happen to park beside our fully loaded 1985 4WD Toyota Tercel but an identical make and model, fully loaded with four skiers and gear. The eight of us chuckled and compared wagons, then we were on our way. Last week my brother, Chad, came out for a visit with his girlfriend, Katie. With springtime here on the coast of British Columbia it was a great opportunity to take advantage of all the many activities that are possible. It proved to be a great reminder for myself as to just how amazing this place really is. We explored the mountains on foot, bike and skis and toured the city, taking advantage of the food, culture and beer. Stories, Pictures and Video of all my adventures, on skis and bike.